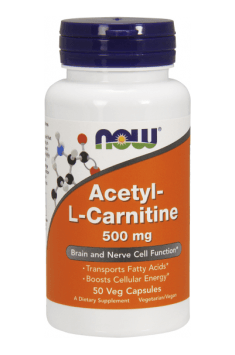 Acetyl-l-carnitine helps with weight loss, supports cognitive function and adds energy, so it should be supplemented before increased physical or mental effort. Along with proper diet and specially fitted physical activity is a perfect solution for people who want to lose weight. You can maximize its effect by combining it with other supplements, e.g.. Alpha-lipoic acid, choline, or caffeine.